A Year of Being Here: Karen Kraco: "To the Owners of the Bungalow at 304 University Ave. NE"
Karen Kraco: "To the Owners of the Bungalow at 304 University Ave. NE"
and your laughing pansies climb in, until the car is full. and bop and doo-wop-wop across the Hennepin Avenue bridge. 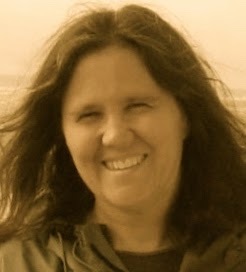 to think of the joke she had forgotten the day before. I won’t lie to you. Every moment is not smooth sailing. are just too much for us. We close up early, exhausted. People tell me that in these parts, the frost sets fast. for lending them to passersby! "To the Owners of the Bungalow at 304 University Ave. NE" by Karen Kraco. Text as published in the "Minnesota Poetry Calendar 2001." Presented here by poet submission. 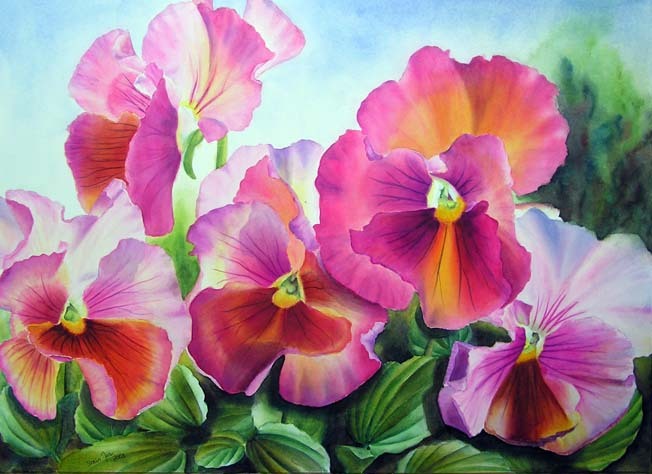 Art credit: "Pansy Glow," watercolor painting by Doris Joa. Thanks for the lovely pansies! We need them in these unsettled times...Merci! On behalf of the poet, you're welcome! thank you, and thanks for reading it! This the most delightful poem I have ever read. I'll keep it always. Thanks. So glad you enjoyed it. Thanks for reading.